Submitted by dennis on Tuesday, June 14, 2011 - 11:00pm. Greetings all. It's been a while since I've actually posted something on this site. I haven't been exploring much of San Diego's fine restaurants as of late as I have been consumed by tireless efforts in my quest for the perfect BBQ. Ever since last year I've taken up grilling and very recently have been delving into smoking meats. Summer is just around the corner and so it's time to start experimenting again! 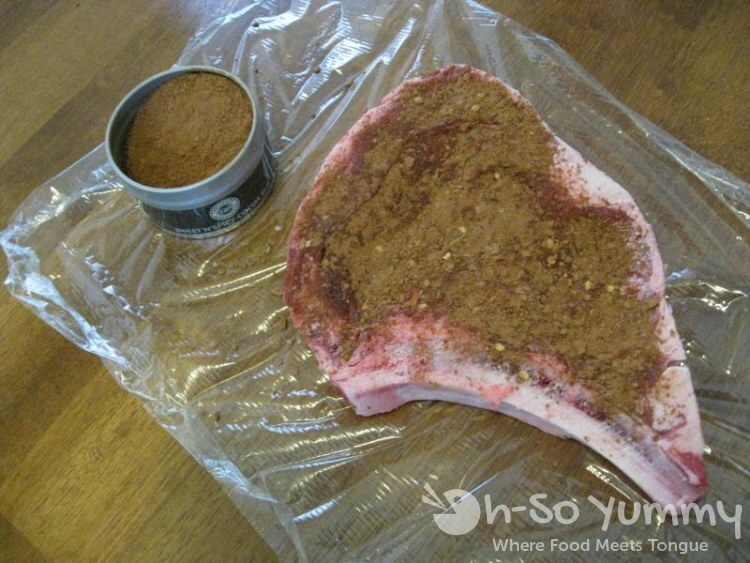 First item we're taking a look at is the Sweet 'N' Spicy Cocoa Rub. This one comes in a 3.4 oz jar. Our local grocery store had a sale going on this week for half off Ribeye Steak so we bought two of them to try with the rub for dinner. I applied a good amount of rub to cover the top and bottom sides of the steak. We then wrapped it in saran wrap and allowed several hours for the rub to work its magic. Some hours later we toss the meat on the grill and began our observations. The ribeye smelled fantastic. I tried to detect if there was some type of chocolately aroma to it but couldn't find one. Instead, we just gazed into the sizzling juices as it cooked until it was finished. Maybe I wasn't generous enough on the rub because we didn't taste that much of a chocolate flavor in the steak. It definitely did have a great spice flavor to it though. It's probably better that the chocolate flavor was subtle as anything more prominent would have masked the natural taste of ribeye steak. Overall, we love the spicy flavors of the rub. 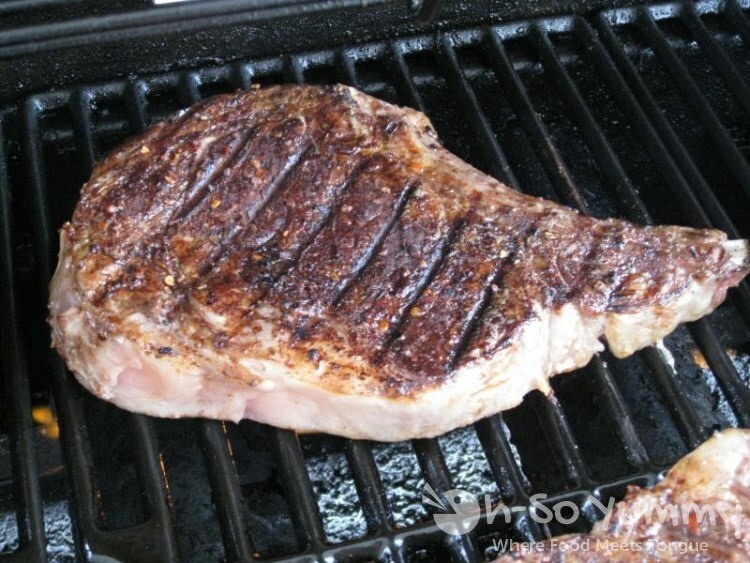 We'll just have to experiment more by using different kinds of meat to see what it pairs up with best. Pending weather, next week we'll probably be smoking pork ribs and testing out the Sweet 'N' Smokey Chocolate BBQ Sauce. Disclaimer: we were provided this product for free but the opinions are strictly our own.